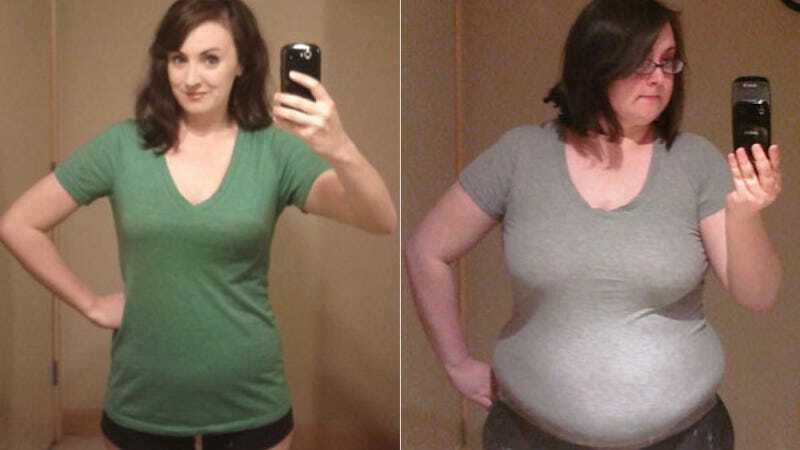 Reddit user dignityblows, whose real name is Amanda, has become a bit of an internet sensation because of this GIF that shows her losing a significant amount of weight over the course of a year that is a real WHOA. I was very clear during the interview that Keto is a high fat and moderate protein diet, but the voice over said I followed a "high protein" diet. Sigh. I guess the world isn't quite ready for the glorious bacon-fueled truth. The best part of Amanda's GIFed weight loss is when her glasses just disappear ala every makeover in every movie ever. She's added a glasses pic from today to prove that they didn't go far.